The steady increase in the patient portion of bills over recent years has presented concurrent challenges to medical practices across the U.S. From over-stretched staff to frustrated patients to rising AR, the effects have practices scrambling to manage patient relationships and revenue cycles more effectively. Unfortunately, the challenges can only grow worse in 2019 with the launch of new low-cost plans, just announced by the Trump administration, that are not required to offer all of the Essential Health Benefits (EHBs) that both patients and providers have now been educated to expect under the Affordable Care Act (ACA). In the near term, at least, Physician Interlink expects significant confusion as both sides of the care equation learn a new system that will run alongside the existing ACA marketplace. In the short time since the major provisions of the ACA were rolled out in 2014, certain benefits have come to be assumed as bedrock in the fully insured marketplace. For example: wellness visits and many preventative tests and procedures – such as mammograms, vaccinations and screening colonoscopies – are covered at no cost to patients; pre-existing conditions cannot be excluded; and there’s no lifetime limit on insurance benefits. In contrast, the new plans, labeled “short-term” and thus not required to comply with the ACA, do not have to cover prescription drugs, maternity care, or pre-existing conditions, and depending on state regulations, may also be packaged to exclude benefits such as preventative care. Previously, short-term plans were available only for three months at a time as a stopgap measure for life transitions; under the new guidelines short-term plans can be bought for a year’s duration, with extensions allowing a maximum of 36 months. Given the reduced benefits, these plans will have much lower premiums than ACA plans (some estimates are 50% or more lower), most likely luring currently healthy people who want less expensive coverage as well as those who don’t qualify for ACA subsidies. Will patients really understand the limits of the plan they purchased, or will they assume that the previously set-in-concrete ACA requirements will somehow still apply? We expect a lot of the latter, unless the federal government does a great job of educating purchasers about the limitations. Which brings us to the next issue…. Will a clear explanation of short-term plans’ packaged benefits be easily accessible to both patients and providers? Our experience has demonstrated that you can’t rely on insurance providers’ published information; we have to call the insurer. Even under the ACA, for example, there’s often confusion about what is covered but still may not be paid because of the cost share or deductible. And that’s in an environment where the requirements for what is covered are more uniform. Under the ACA, when a patient presents an insurance card to a practice’s front desk, both sides can have at least a ballpark understanding of what the patient might owe for that visit, with respect to what is free versus what requires a co-pay versus what would likely be applied to any existing deductible. What happens when a patient hasn’t absorbed the short-term plan benefit differences and arrives at your front desk to learn she’ll likely be getting a $600 bill because her child’s wellness visit and vaccinations aren’t covered? Or her annual pap smear and mammogram aren’t covered? Or his preexisting condition, which was covered under his former ACA-compliant plan, now isn’t? Front desks are going to be impacted by slow-down at check-in, confusion, and even anger as some patients inevitably vent their insurance frustration in the first place where they’re confronted with this surprise. What effect will all of this have on practice AR? Practices should assume (and manage cash flow accordingly) that a number of patients simply won’t be able to pay that large, unexpected bill, while others will need to set up a payment plan. Patient balances may go up a little or a lot. Front-end awareness and collection will be even more important in these cases. 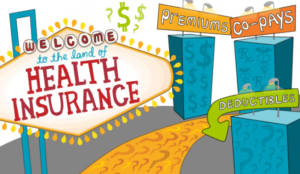 Another element to be thrown into the mix: new, expanded latitude on Association Health Plans. These plans – which allow small businesses to group together under certain rules in order to buy more affordable, non-ACA-compliant policies – have been made available to a wider group by virtue of more relaxed rules announced by the Trump administration in July 2018. These changes, as well as the three-tiered timetable for rollout, will add to the marketplace confusion. Educate yourself about what’s coming. Establish a protocol for examining cards at check-in, discussing possible issues in coverage, informing patients about changes in your payment policies, etc. Consider sending out a letter that broadly educates your patients on the differences, so they can be better health care consumers under their plans. If you use an electronic eligibility platform (e.g., Phresia), ask your vendor for any available support to manage the short-term plan rollout. Consider requiring Credit Card on File for patients with short-term plans (which allows the exact amount designated by an insurance company to be billed to a patient once the claim has been completely processed, eliminating the need to calculate and collect charges upfront, process a balance statement or process a refund check). Select a very capable person on your staff or an outside vendor to be your designated expert at learning insurance plans, looking up and navigating benefit portals, and calling insurance companies to ask questions and advocate. Accept that someone is indeed going to have to spend more time on these efforts, as automated tools likely won’t provide the level of detail you’re going to need. As if these changes didn’t promise enough upheaval, practices should also bear in mind the Trump administration’s October 2018 guidance that allows states to request waivers that move their insurance markets away from the rules imposed by the ACA. If approved, the waivers would allow states to offer lower-cost plans that aren’t required to include all of the EHBs that have become standard. As these non-compliant plans roll out down the road (with “innovation” encouraged by the Trump administration), we wonder whether large, self-insured group plans, which already enjoy some leeway in their ACA compliance, might seize the chance to apply for state waivers that would allow them to avoid additional areas of compliance? In short, the “known unknowns” and “unknown unknowns” suggest that practices need to prepare to be flexible and focus on planning in a way they may not have done since the ACA was first enacted.